In the Trenches is a quarterly print and digital publication for NAGT members designed to provide a forum for geoscience education dialogue targeting educators in the classroom. It provides a venue for contributors to inform NAGT members about their best teaching ideas, new resources, and other special topics relevant to the profession of teaching geoscience that do not lend themselves to more research-focused journals. With In the Trenches, educators are provided with a more conversational outlet for ideas and experiences that inform the larger community. In the Trenches is mailed to all members of NAGT, who collectively represent an audience from across the United States and abroad. Readers of In the Trenches are primarily Earth educators who teach at the K-12, college, and university levels, as well as work with the general public through venues such as museums, science centers, and nature centers. The audience also includes research scientists as well as individuals interested in pedagogical research. In addition to over 1,600 subscriber mailings, In the Trenches is handed out by NAGT at preeminent geoscience conferences throughout the year. 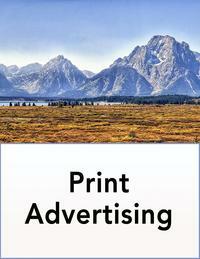 To learn more about advertising with In the Trenches, view the downloadable Print Advertising Media Kit (Acrobat (PDF) 10.1MB Mar7 18).